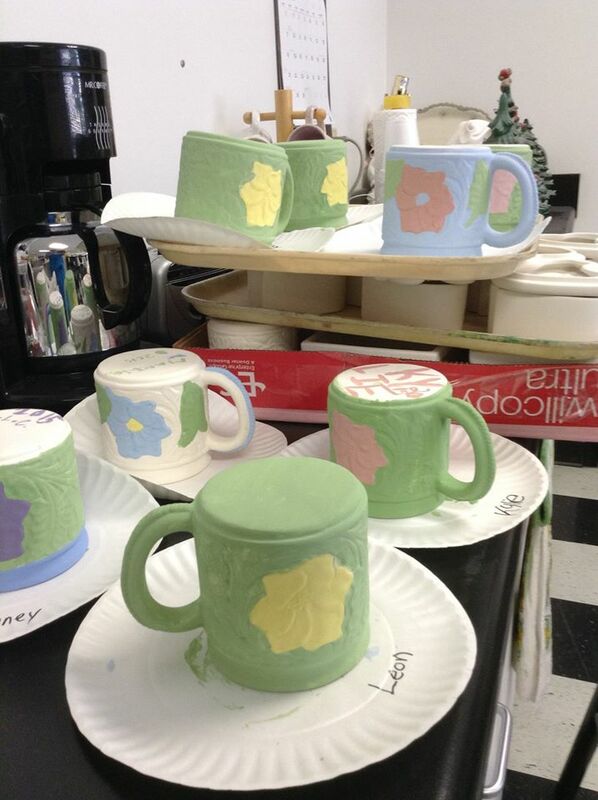 Ceramic classes are offered in our fully operational ceramic studio. A full line of ceramic supplies, materials, and basic art supplies are available at the Ceramic Studio. Seasonal Ceramic pieces are available for sale. Adult ceramic classes are offered throughout the year during open shop hours. Open shop hours are Monday and Thursday nights from 5:00pm - 9:00pm and Tuesday and Thursday mornings from 9:00am - 12Noon. We can customize our classes to meet your needs. Church groups, civic clubs, school groups, scout groups, home schooling, and special needs classes can be scheduled to fit your schedule.